At least two-thirds of those who try cigarettes go on to become daily smokers, even if only temporarily, research suggests. The study’s authors said the research showed the “remarkable hold” cigarettes could establish after one experience. They said it confirmed the importance of stopping cigarette experimentation. The meta-analysis, published in the journal Nicotine & Tobacco Research, was based on 215,000 respondents to eight surveys between 2000 and 2016 contained in the Global Health Data Exchange. 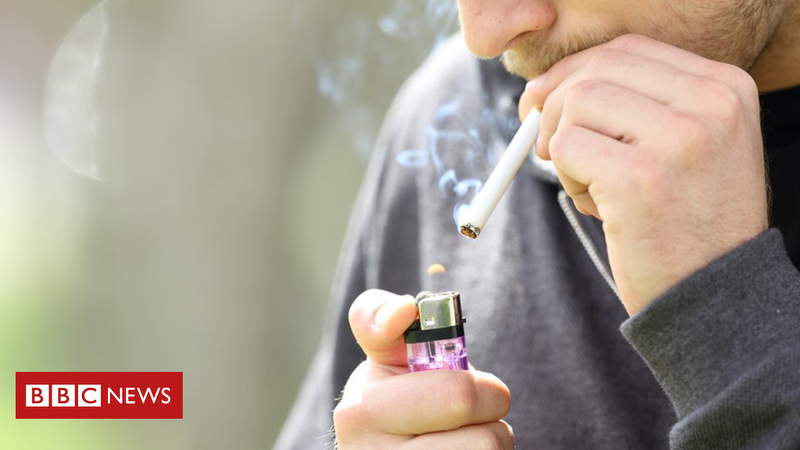 Lead researcher Prof Peter Hajek, from Queen Mary University of London, said it was the first time the link between trying a first cigarette and becoming a regular smoker had been documented in such a large set of data. “We’ve found that the conversion rate from first-time smoker to daily smoker is surprisingly high, which helps confirm the importance of preventing cigarette experimentation in the first place,” he said. In 2016, 15.5% of adults from the UK smoked – about 7.6 million people – according to the Office for National Statistics, down from 19.9% in 2010. In the same period, 19.3% of 18- to 24-year-olds were smokers, compared with 25.8% in 2010. Deborah Arnott, chief executive of the charity Action on Smoking and Health, called for the greater government regulation of tobacco sales. “The government is refusing to introduce licensing for tobacco retailers, even though there is strong support for this both from the public and retailers,” she said. However, the study’s authors said there were limitations to the research. One was that the surveys had yielded different results for the proportions who had progressed to becoming daily smokers – from 52% in one in the US to 82% in one in the UK – which meant the 68.9% figure was an estimate, as a weighted average of the figures. The authors also said there were questions about the accuracy of people’s recall of their smoking history. Public health minister Steve Brine said: “Britain is a world leader in tobacco control, and thanks to our tough action smoking rates in England are at an all-time low.